Hospital Acquired Infections (HAI) caused by Multi-Drug Resistant Organisms (MDROs), which are mostly spread through the contaminated hands of healthcare employees, are on the rise worldwide. All hospitalized and critically ill patients are especially vulnerable, with the infection rates of 7-10% and 30%, respectively. The great majority of the literature offers convincing evidence that improved hand hygiene practices lead to a reduction of HAIs. Although organizations do know that there is collective non-compliance, with devastating consequence on morbimotality and healthcare costs, they have not known how to identify individuals that are really accountable. Sporadic manual observations currently used to assess protocol compliance levels induce observational errors and do not provide reliable information on which to act. Since 1980, awareness training has been used as main strategy to improve hand hygiene compliance, without significant sustained improvements. In the U.S. alone every year 1.7 Million hospitalized patients are infected, of which 99000 die, and there is an additional cost of 6.5B$ due to extended hospital stays, additional treatments and damage claims. For decades compliance levels have been less than 50% world-wide. This historically stable non-compliance levels tell us that things won´t get any better with the strategy of creating awareness and checking the compliance levels using manual observations. In other production systems, the compliance of any critical protocol, for example, the use of flight take-off checklist, is never left so optional and voluntary as it is done with hand hygiene. Whenever there is a serious consequence for protocol non-compliance, a control mechanism is needed to detect and warn non-complying individuals to slowly create the habit of compliance. When employees want to sanitize, they may not always find the sanitizer flask around within a few steps from the point of care. Since the flak is portable, someone may take it and leave it some place else. Even when a sanitizer flask is found when needed, it may be empty, making compliance difficult. The sanitizer gel quality could be another issue. When people take trouble to find and apply the gel in their hands, we cannot afford to dispense a bad quality gel. There should be a systemic control on the gel quality. In a manually-pumped portable dispenser flask, depending on the number and depth of strokes made, the amount of gel dispensed varies. There has to be more guarantee that the amount of gel dispensed is insufficient for correct disinfection. Organizations, despite their effort in sensitizing employees, may not be getting their message across if there is no consequence for non-compliance. When employees are busy, remembering becomes a systemic human factor. Sometimes one may underestimate the risk. There needs to be an external “pull” motivation until habit is formed. For that there has to be individual compliance level monitoring and follow up. In the absence of such “systemic” control organizations make too much effort and obtain too little compliance. Given the systemic issues mentioned earlier, employees do what they can and when they can. If we want them to do more, we need to make things easier for them. In the presence of unresolved systemic issues and in the absence of a control system, employees cannot be blamed. Govisystem™ is an innovation of the strategy for hand hygiene compliance accomplishment. Its design puts the burden on the system, not on its users. It consists of patented, intelligent dispenser system that acts as “poka-yoke” as it does not give the option of undetected non-compliance to employees. It consists of as many dispenser units as needed, which are placed in different hospital rooms (and other care points) and are geolocated in the control software. Each dispenser unit reads the fingerprint of the very hand placed in it to obtain sanitizer gel, identifies the employee doing so and transmits their hygiene moments in real time. The dispenser is designed to guide the middle finger into the fingerprint reader while almost instantaneously releasing the gel in the palm. Through this system, supervisors can sit in their office and know in real time which employee obtained gel, at which dispenser location (which patient room), at what moment, how many times and at what intervals, given the clinical task assigned to that person. With this information hand hygiene moments and compliance levels can be tracked for each employee. Our advanced version can compare hygiene moments of employees with their corresponding “care” moments, recorded in their patient´s clinical history, and create basis for establishing traceability and accountability. Govisystem™ helps SAVE lives through its LAVAGE (French for washing) formula. The acronym LAVAGE presents solutions to the five systemic issues discussed earlier. 🅛 Location: Non-portable gel dispensers are placed within two steps from the point of use. 🅐 Availability: Gel availability in all dispensers is monitored in real-time on the computer screen of the person who has to do replenishment. 🅥 Validity: The validity of the gel used is guaranteed through proper quality control methods. 🅐 Amount: Not too little. Not too much. Gel dispensation amount is personalized for each user´s hand size by correlating it to corresponding fingerprint. 🅖 Guidance: Hand hygiene protocols are established for each type of patient care in line with the WHO recommendations, and individual performance targets are set. 🅔 Evaluations: Individual evaluations and follow up are done through real-time monitoring of individual hand-hygiene habits. With this improved system design, hand hygiene compliance can be achieved and nosocomial infections can be reduced. 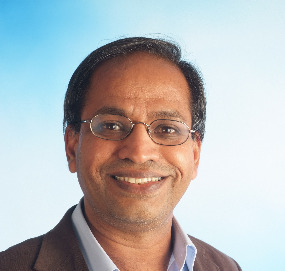 Rajaram Govindarajan has undergraduate degrees both in Engineering and Medicine. He received Ph.D. in Engineering from Iowa State University and M.D. in Medicine from Universitat Autònoma de Barcelona. He is a Professor at the Department of Operations Management, Innovation and Data Sciences at ESADE Business School and a senior healthcare management consultant. He has patented the GovisystemTM which is a non-profit social-initiative deigned to save lives by significantly increasing hand hygiene compliance in healthcare, food and pharmaceutical industries.